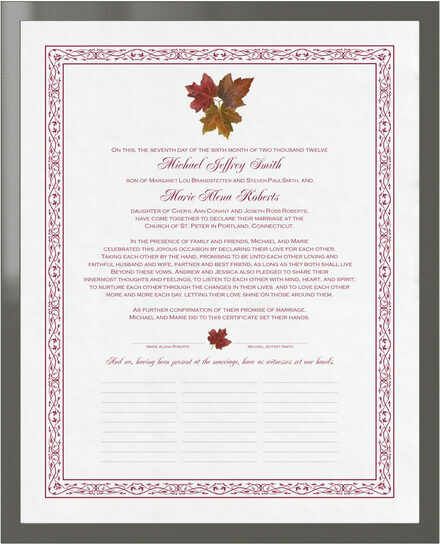 Add this Autumn-themed Tri-Maple Leaf Pattern wedding certificate to your wedding ceremony. 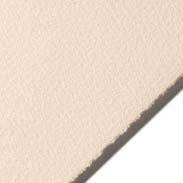 It has room for your guests to sign, so you can use in in lieu or in addition to a guestbook.  Every aspect of the design is fully customizable. We're more than happy to swap the leaf design for a different one, change or remove the border, change the fonts or colors, and update the text with your own vows or a selection from our vows and verses. Wedding certificates are generally hung in your home to remind you of the vows you took on your wedding day. On this, the seventh day of the sixth month of two thousand twelve Michael Jeffrey Smith son of Margaret Lou Brandstetter and Steven PaulSmith, and Marie Alena Roberts daughter of Cheryl Ann Conant and Joseph Ross Roberts, have come together to declare their marriage at the Church of St. Peter in Portland, Connecticut. In the presence of family and friends, Michael and Marie celebrated this joyous occasion by declaring their love for each other. Taking each other by the hand, promising to be unto each other loving and faithful husband and wife, partner and best friend, as long as they both shall live Beyond these vows, Andrew and Jessica also pledged to share their innermost thoughts and feelings, to listen to each other with mind, heart, and spirit; to nurture each other through the changes in their lives and to love each other more and more each day, letting their love shine on those around them. As further confirmation of their promise of marriage, Michael and Marie did to this certificate set their hands. And we, having been present at the marriage, have as witnesses set our hands.